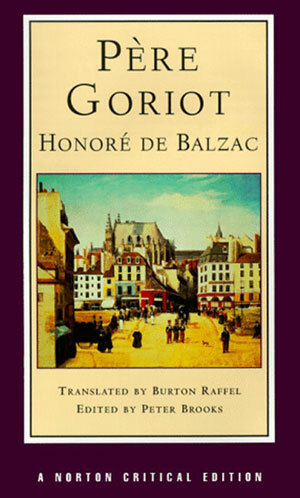 I'll be spending my day with the residents of the Maison Vauquer, making progress with Balzac's Pere Goriot. The book discussion is this Wednesday, and I'm further behind in my read than I'd hoped to be by this point. The book's so dense, with gorgeous sentences and sneaky humor. I've been reveling in it rather than reading at my normal, faster pace. A pace that's actually too fast. I get so anxious to get through a book, to read more and "see what happens," I forget to stop and smell the proses (that one hurt me more than you). Occasionally a book like this comes along, forcing me to re-read paragraphs – sometimes pages – to make sure I miss as little as possible. Then I realize what I miss with my normal, impatient reading speed. For example, I love the line, early on, that the Maison Vauquer has a sign out front reading, "For men and women and others." And others?! Then the statement there's a venereal disease hospital nearby to cure the after-effects of love. All said with a perfectly straight face, these gems tucked in between descriptions of ivy-covered walls and the pensioners who live at Vauquer. And such descriptions they are… Aside from perhaps Dickens, I don't know if there's another writer who describes his characters at greater length than Balzac. Sometimes it makes me want to say, "Okay! I get it already! Dude is poor but generous. Victorine is poor and terribly thin, but would be pretty were she living in more opulent circumstances. And Goriot is an old man everyone likes to make fun of." 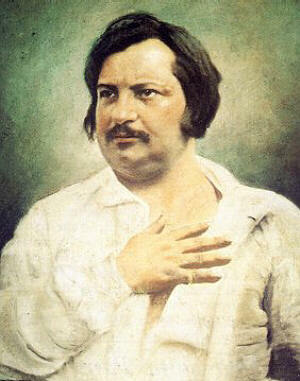 But then Balzac wouldn't be Balzac. And I wouldn't enjoy him nearly as much. So slower it is. Deja Vu! I just came across this title on my shelf. I have an old cloth bound copy in English. It’s gotta be from the 50’s – garage sale when I was a teen. I almost brought it with me to Montreal to read but chose to do as you — read when I get home and savor. I’ve read it twice before but that’s been over…way to many…years ago. yeah, the “and others” sign made me laugh out loud. As did so many other parts. It was not a favorite book of mine (this was my first read of any Balzac) but I definitely know what you mean by Balzac is Balzac. Looking forward to tomorrow night! !